Our prices incl all parts & labour. Grundig freesat HD "high definition"
* Please note that it takes 14 days for your sky card to arrive, so we leave you a freesat box until your card arrives with your new sky box or we can order your sky card and sky box immediately and come and install everything when the sky box and sky card arrives from our suppliers. The reason for this is that unlike our competitors we order the card in your name so that there are NO YEARLY MANAGEMENT FEES. SKY do charge an additional monthly fee to use the SKY+ facilities such as SKY anytime and recording facility. SKY do charge an additional monthly fee to use the SKY+ HD facilities such as SKY anytime and recording facility and they charge an additional €10 per month to upgrade the card to a HD card. WE SIMPLY MUST BEAT ANY WRITTEN QUOTE... WE SUPPLY ONLY THE BEST EQUIPMENT AND HAVE A FISTIDUOUS CUSTOMER CARE TEAM DEDICATED TO ENSURING THAT YOU RECEIVE THE BEST SYSTEM FOR YOUR BUDGET AND MOST IMPORTANTLY YOUR REQUIREMENTS. We have stock arriving daily so please contact our sales team for the latest offers and special deals. If you require any further information relating to sky tv in Spain or are interested in purchasing a freesat satellite system then send us a quick e-mail to find out what suits you best. Ask us about Home Cinema in Spain. Are you suffering from signal loss? Need a new LNB? If you copy any content from this website we will take immediate legal action. Receiving British Satellite TV in Spain has never been easier, since both Freesat TV Spain and SKY TV can be received with the correct satellite box and satellite dish all over Spain. We can arrange sky tv cards, freesat boxes and the best satellite dishes and the correct LNB that will ensure you the best picture quality. 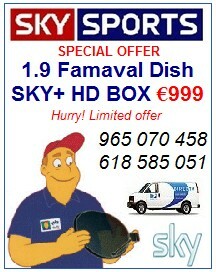 We currently have a special offer on the SKY+ Box and SKY viewing card. Interested in SKY High Defininition. 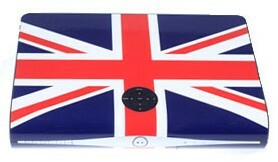 This is the "latest model" only just released from SKY UK these boxes sell for €399 in Spain if you can get them! And that is just for the box! Do not miss out on this fantastic offer! You will be amazed at the difference in picture quality! 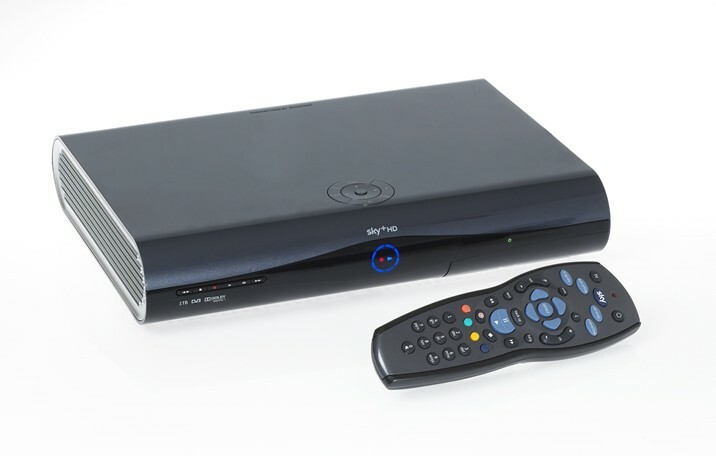 This is the latest SKY+ HD box from SKY the great thing about this box is the new upgraded hard drive that boasts a massive 250GB. Unsure what dish or box would best suit you? We can GUARANTEE the best prices, We can GUARANTEE total satisfaction we work 7 days a week! No Siesta! Order a complete installation and receive a FREE €50 Voucher. Terms & Conditions apply. 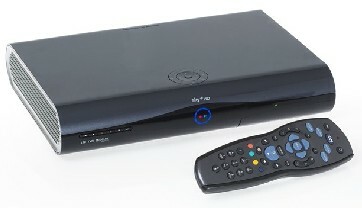 www.mrskytv.com offers a complete satellite solution including sky+ hd boxes, sky+ boxes with card, sky boxes, sky cards, 1.4, 1.45, 1.9 2.4, 3.1 Portuguese and German satellite dishes. We use Invacom LNB and specialist in communal systems for urbanizations across Spain and France. Our team comprises of six UK SKY engineers. We guarantee you the best prices! We provide a special mail order service all across Europe and our engineers are available 7 days a week! We can even install SKY TV at your property in Spain before you arrive so that you can start enjoying your break the moment you arrive! Feel free to contact us with any questions we are here to help! Digi-Box skins now available. Fits slimline HD Box! This is the perfect solution for your Holiday Home or residence in Spain! 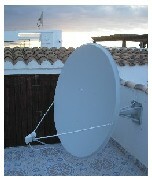 We can offer this dish with a Top quality receiver with High Gain tuner. This system including the dish, installation and receiver fully fitted. 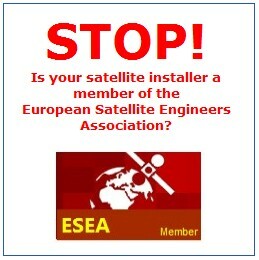 Let us take the effort out of installing your new satellite system! We provide value for money, excellent service and fastidious customer care. We have completed installations all over Spain and can provide you with recommendations from satisfied customers if needed. Feel free to contact us with any questions we are here to help! Complete satellite system installed €399 (no hidden extras) *offer applies to Costa del Sol and Costa Blanca, other areas may incur a small fuel surcharge. We cover the whole of Spain so feel free to contact us for a FREE & Hassle FREE chat or e-mail us with any questions. Receiving British TV in Spain is important to many ex pats that want to keep in touch with News and Events in the UK, Obviously many British families want to receive satellite TV in Spain so that they can watch BBC ITV etc especially fans of the UK Soaps. We are proud to provide all of our customers with the best equipment, we can supply satellite TV systems that can be watched for FREE without the need of paying any monthly payments. We can also supply SKY TV systems that will allow you to watch SKY SPORTS, SKY MOVIES, SKY ENTERTAINMENT, SKY DOCUMENTARIES, SKY MUSIC, ESPN. Using the latest Portuguese Satellite dishes we are able to guarantee you an excellent signal wherever you are located in Spain. 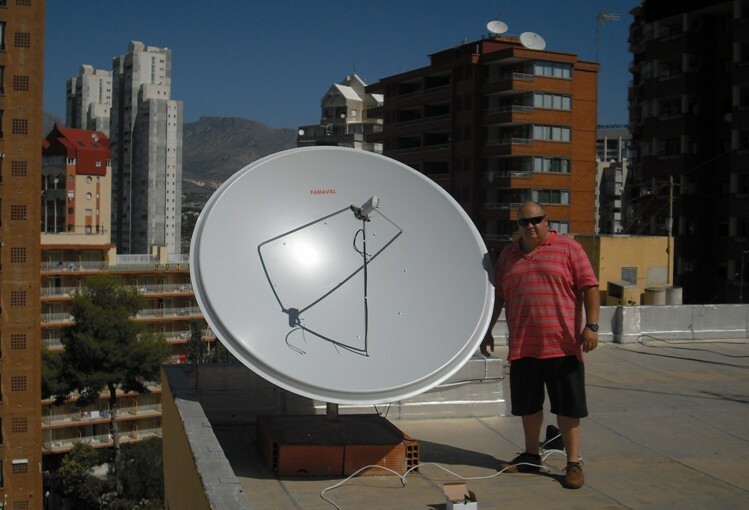 We offer a complete service that covers the whole of Spain, regardless of your location we will come and install your satellite system for you and have you up and running as quickly as possible. Interested in SKY TV in Gran Alacant Alicante Spain? 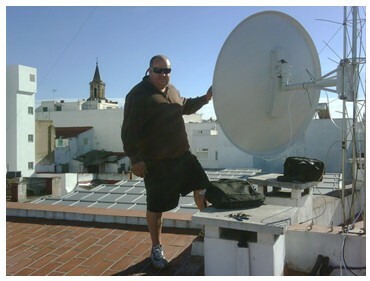 We cover the whole of Spain, regardless of your location we will come and install your satellite system for you and have you up and running as quickly as possible and that is our Promise! With over 22 years experience in the Satellite Industry we are able to provide you with complete peace of mind when choosing us to install your SKY system or Freesat system. We have offices in Alicante and Marbella and are installing in Madrid every other week. We can supply you with SKY Viewing cards and the latest SKY+HD Boxes at fantastic prices, we are constantly striving to ensure you the customer the best possible prices and the best quality equipment and expert advice & service. Information guide about installing and receiving sky tv in Spain. 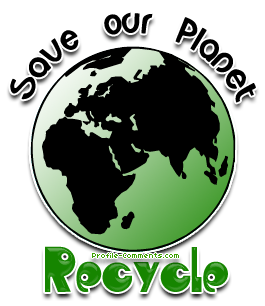 >>> Latest SKY Box offer's..
Mr SKY TV has always been looking for ways to lower our carbon footprint and are now pleased to be able to offer new "ECO-FRIENDLY" LNB'S to our customers. If you are interested in receiving further information about receiving British TV in Spain then contact us to discuss further. Excellent service & Excellent Customer Support. Bringing you the best products at the best prices. We have a wide selection of SPECIAL OFFERS! To suit every budget, We offer a "NO QUIBLE" Warranty on all of our work, We are dedicated to finding the latest equipment to ensure that your viewing is never interrupted. All of our SKY Box's come with a "OLD for NEW" exchange system and we GUARANTEE that you will never have to wait more than 24HRS or you get FREE SKY TV for a month!!! !